Meadow pipits are not just found in meadows. They live in all kinds of areas with low vegetation, such as farmland, dunes, heath fields, swamps and marshes.They make their nest on the ground, hiding it well between the growth. They eat small insects, snails and worms. Their diet also includes seeds in the autumn and winter. 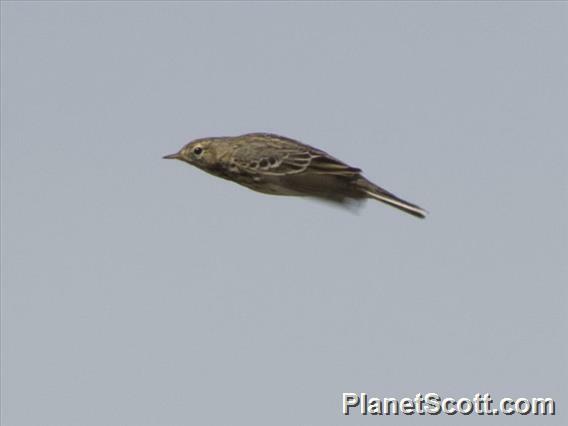 Meadow pipits are seen the enitre year in the Netherlands. Although the Dutch nesting birds migrate south in the autumn, the northern European meadow pipits spend the winter in the Netherlands. They only migrate further south during severe winters.